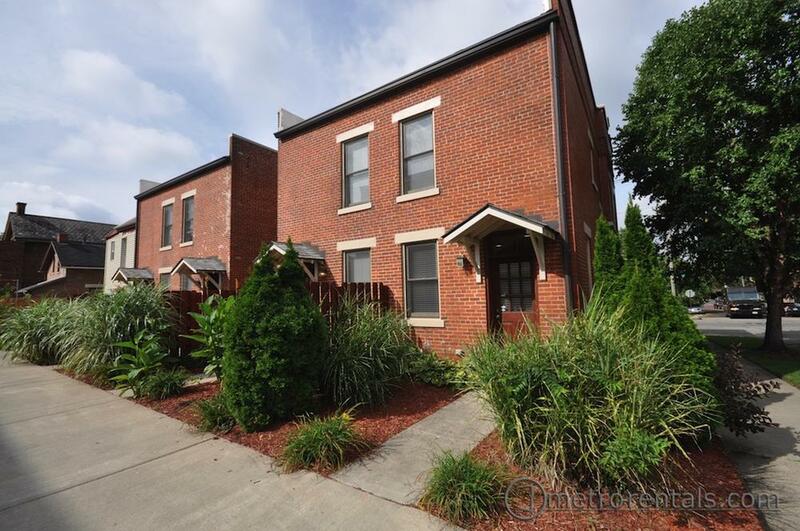 Beautiful 2-bedroom, 2-bath townhome (1350 square feet) just a short distance from German Village, directly across from Grange Insurance. 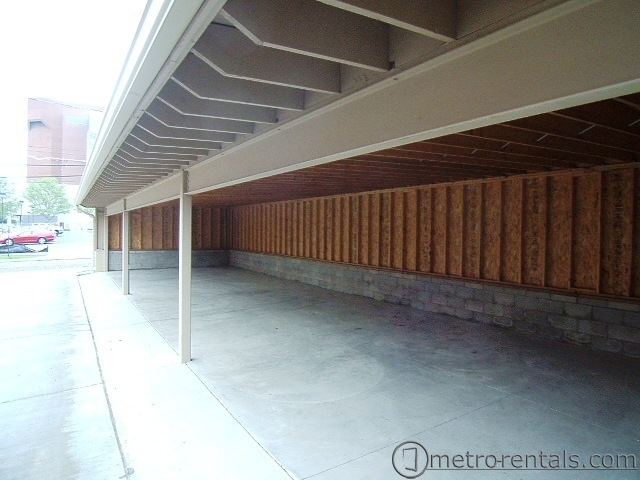 Parking is provided via a 2-space carport with security lights, just steps from your back door. 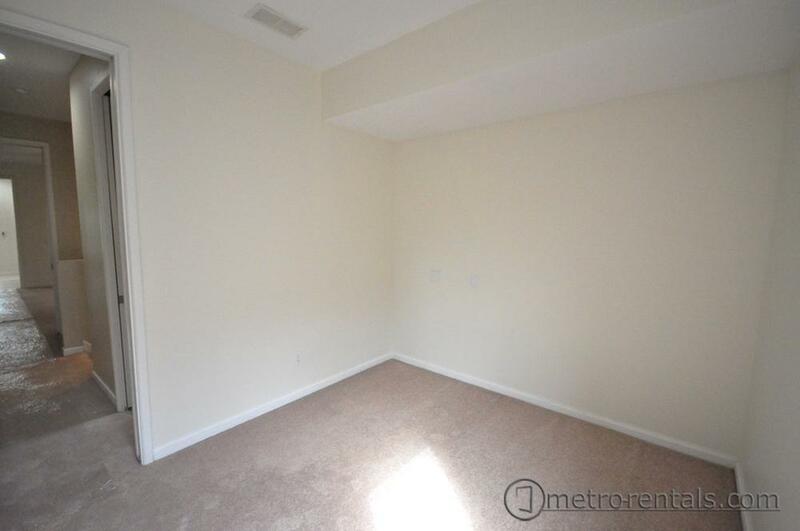 Additional 650 square feet of storage in the dry basement, equipped with washer/dryer. 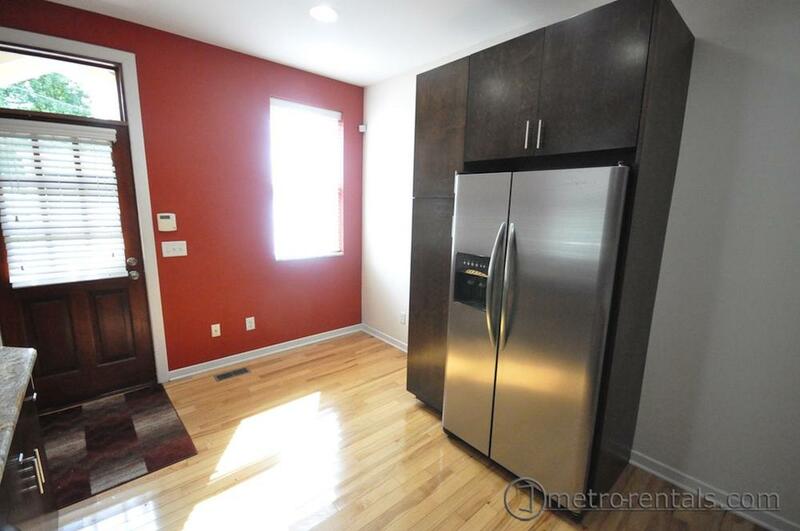 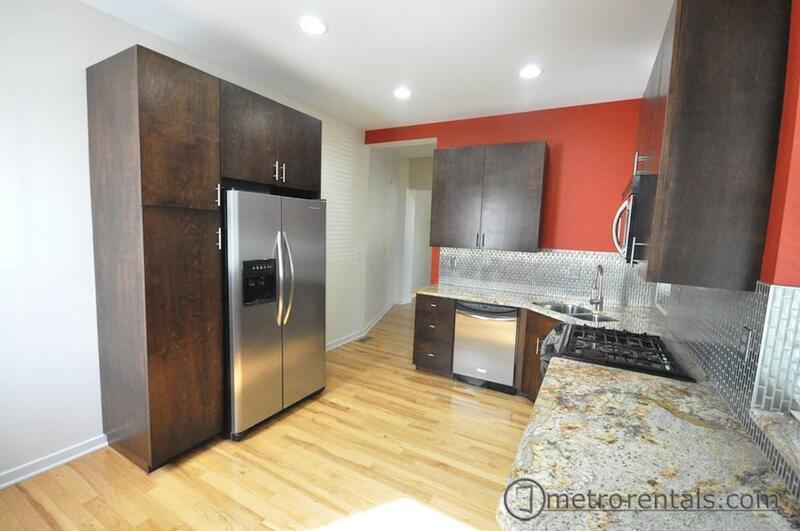 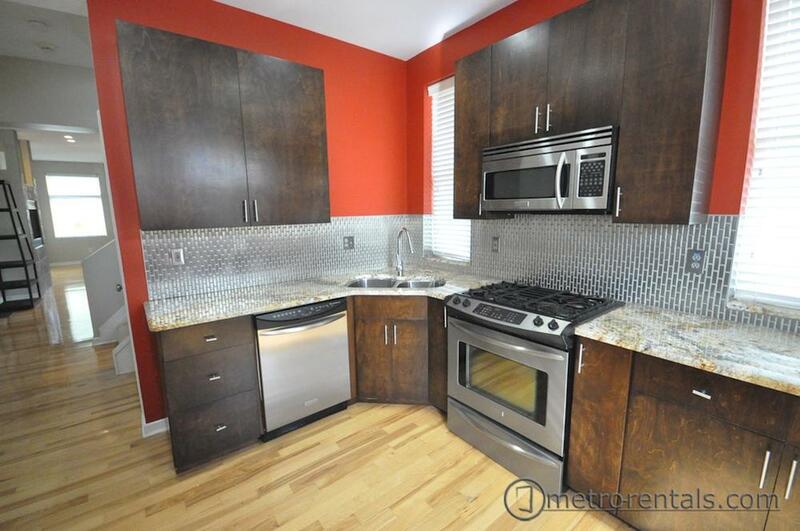 Kitchen features stainless steel appliances including microwave and Gas range with convection oven and warming tray. 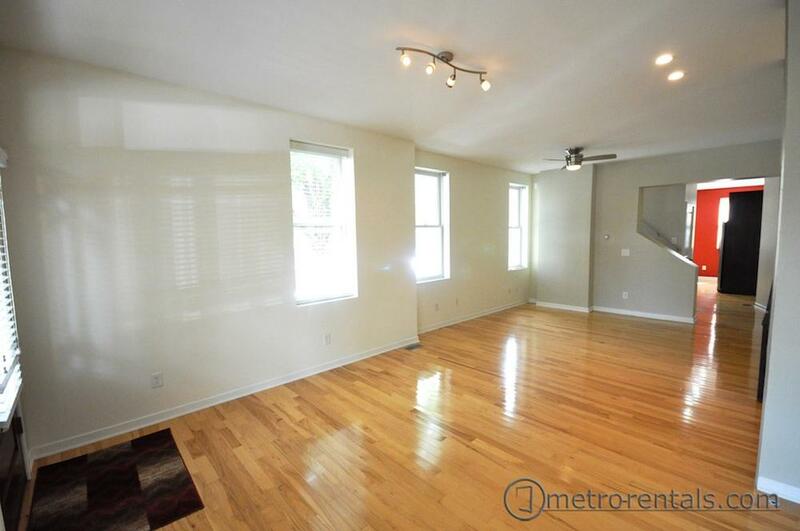 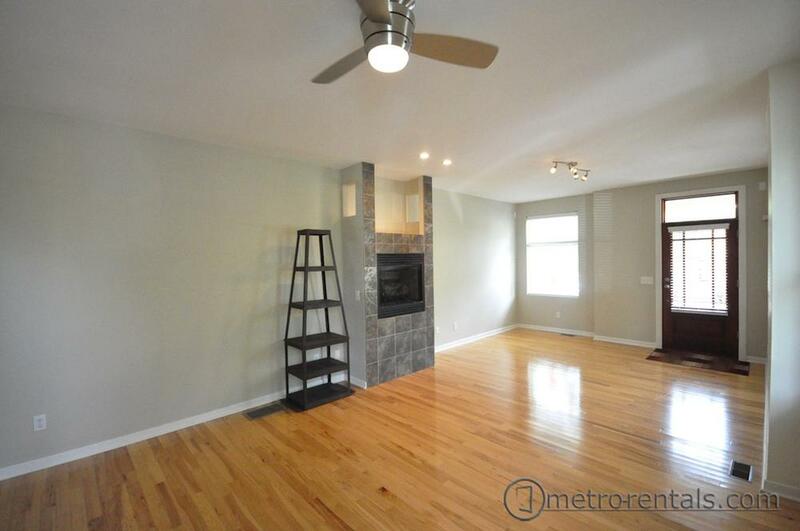 The living and dining rooms both have the matching hardwood floors, gas fireplaces and surround sound capabilities. 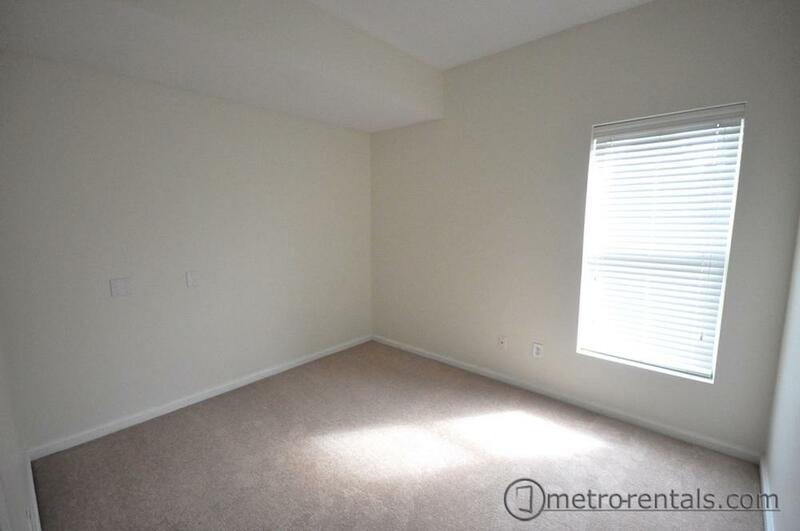 Upstairs, the Master and Guest bedrooms are both finely appointed. 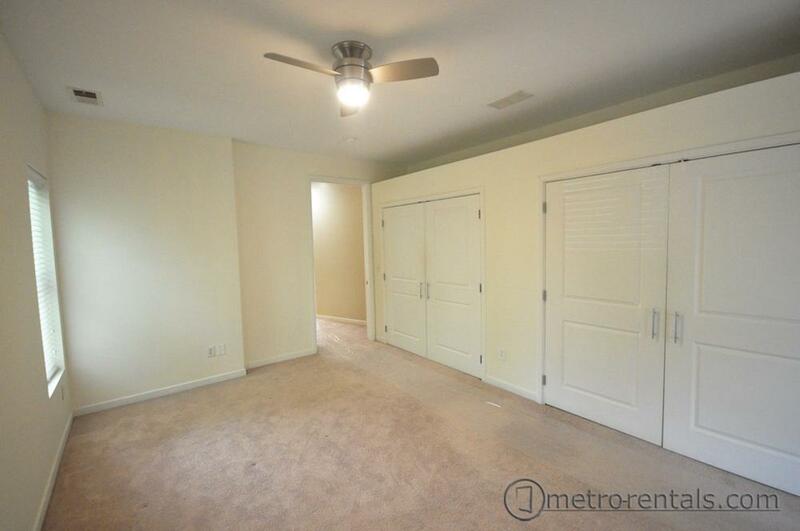 The Master bedroom has carpeting and large closet with custom cabinets. 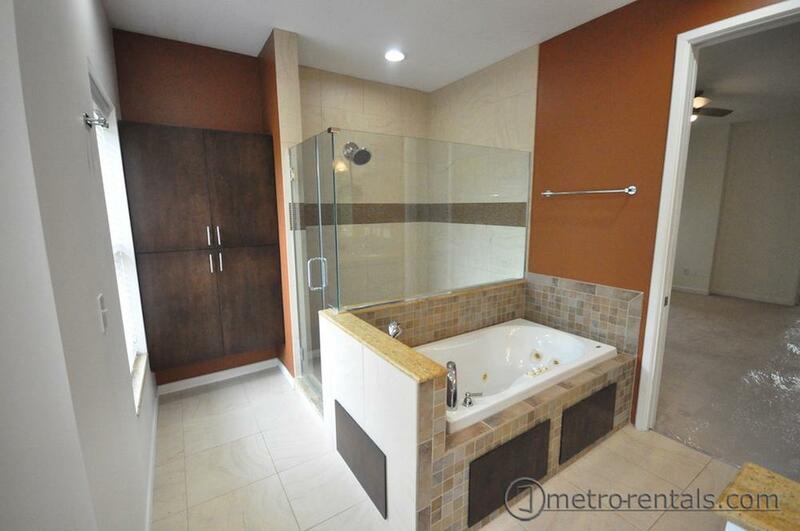 Master bath has heated porcelain tiled floors, large custom designed shower and heated Jacuzzi tub. 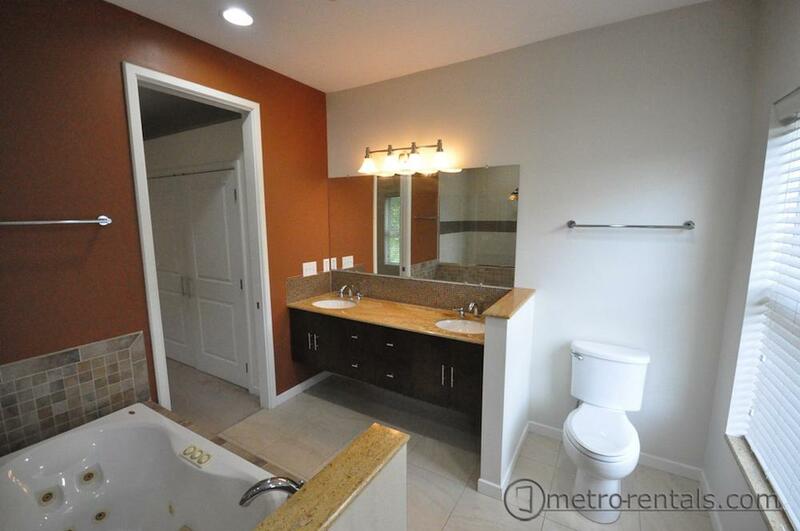 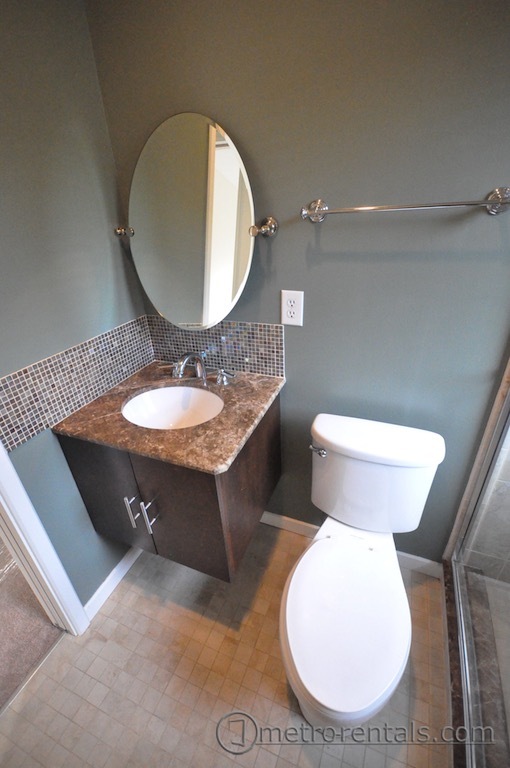 The second bath is similar to the Master bath with porcelain tiled floors and custom vanity. 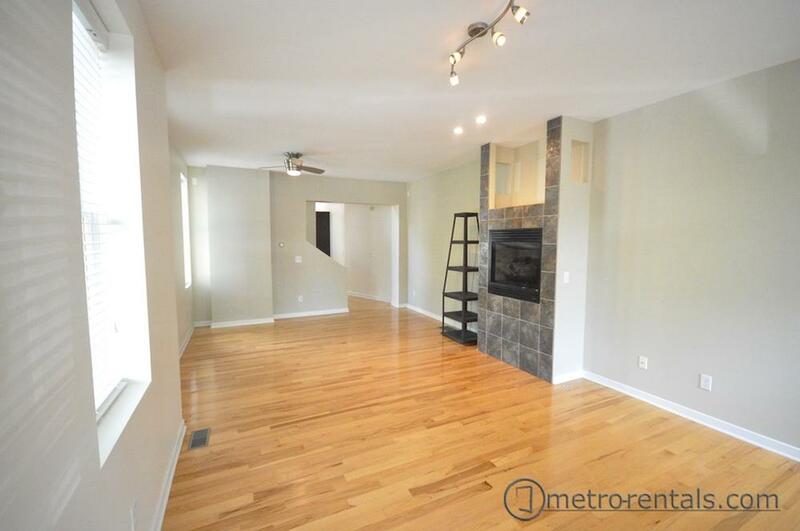 Your new home is warmed with an efficient gas furnace, cooled with central air and secured with security system. 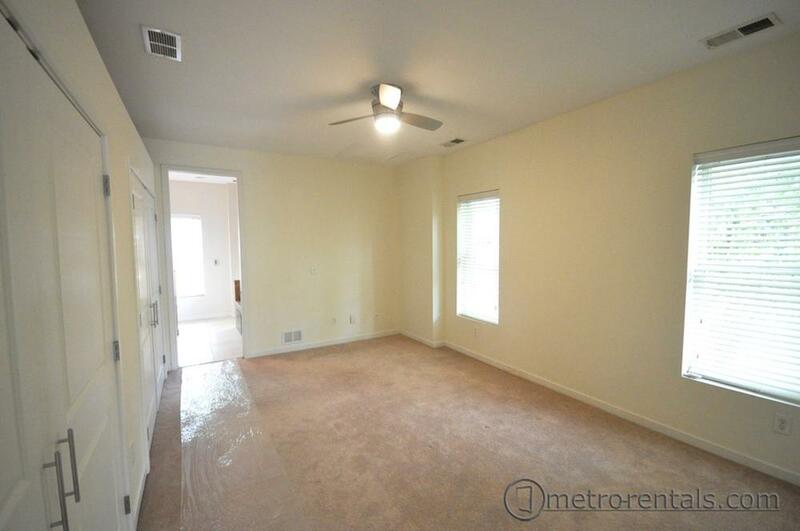 Rent for this fantastic home is only $2350/month, security deposit is $1500. 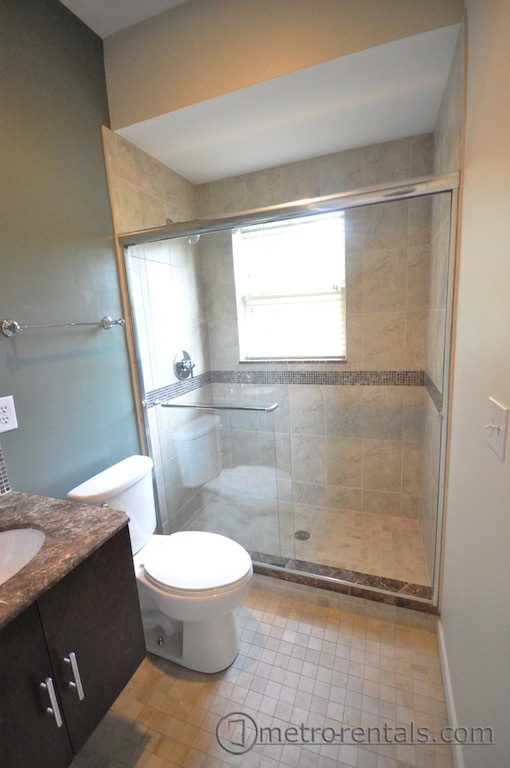 One small pet is permitted with an additional $30/month pet rent.